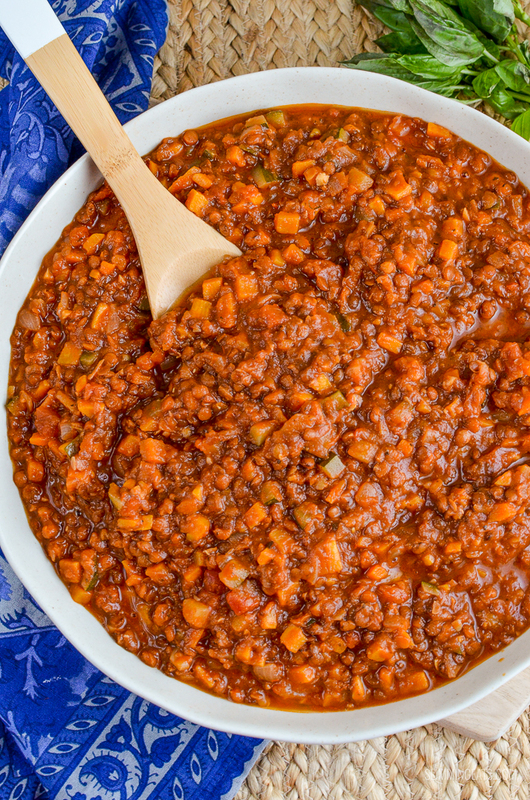 Make up a pot of this delicious and healthy Syn Free Vegan Lentil Bolognese for dinner, with plenty leftover for freezing. Got a bag of dry brown lentils in your cupboard that you have been wondering what to do with? 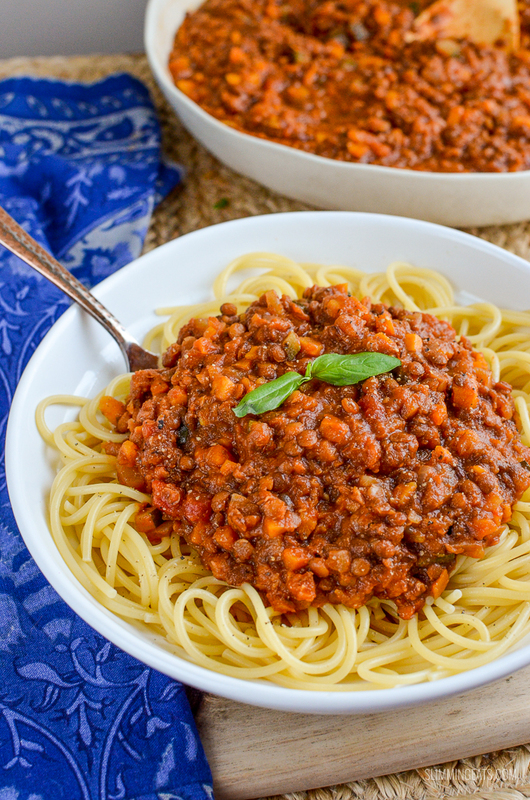 It might be time to dig them out and get a pot of this Vegan Lentil Bolognese on the go. If you have both meat eaters and vegetarians under your one roof, this might be the dish to please you all. 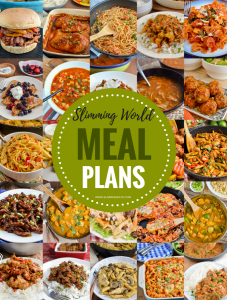 It’s comforting, filling and pretty budget friendly too. 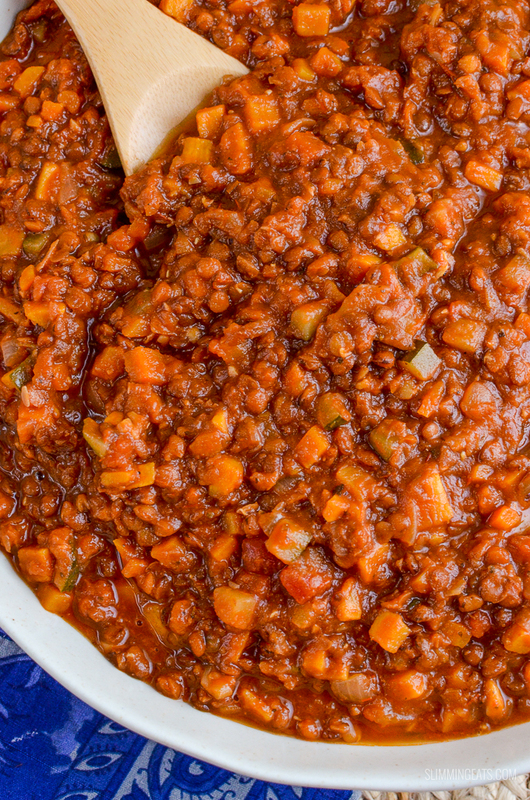 I do let it simmer for quite a while on the stove, but seriously if you want all those amazing flavours, a bolognese is just the best when cooked this way. Just to skimp on the time and you won’t get those same rice flavours. 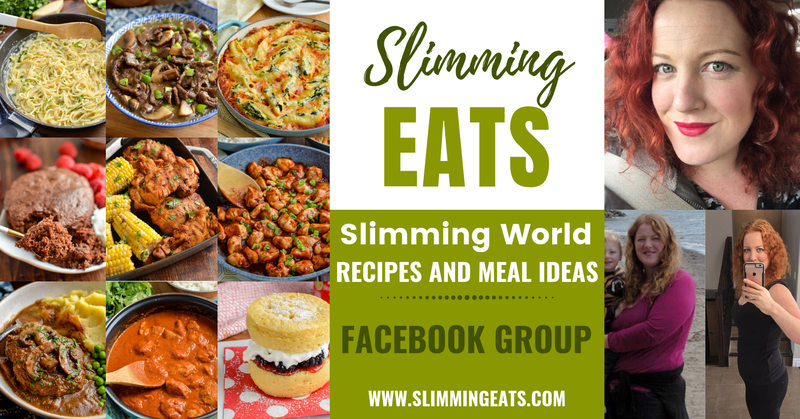 I do recommend using a chunky lentil, like green or brown lentils and not red lentils, because you want the lentils to keep their shape, red lentils tend to go mushy and are best used for things like dhal curries and thickening soups etc. I used dried brown lentils because they are just so cheap and you don’t have to do any soaking overnight like dried beans. So they are super easy to prepare. Just add them to a colander and discard any that are discoloured etc, then give them a good rinse with clean water and you can add them straight to the pan. Whenever you buy some lentils at the store, always try and buy a bigger bag in bulk, rather than the teeny little bags, you will save yourself quite a bit of money and they last a long while. I try to add as many meat-free dishes as I can into my week because whenever I go the meat-free route, I always add a lot more veggies too, and vegetables are a speed food, so it’s all good. 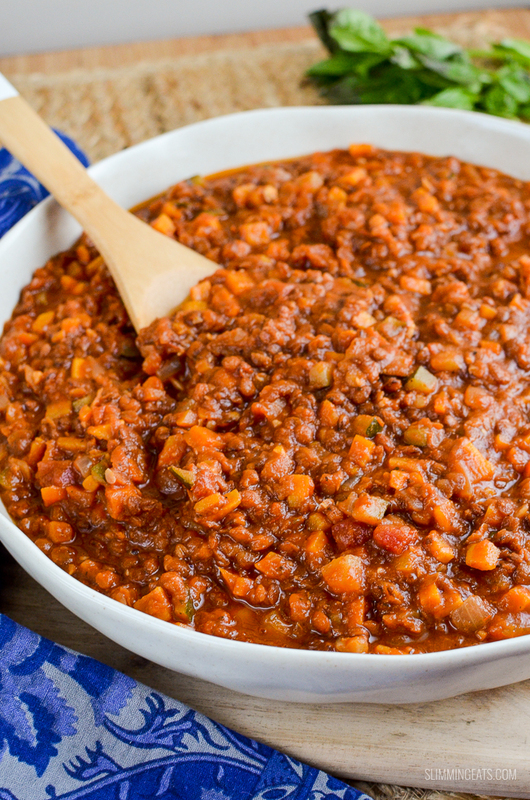 This lentil bolognese has vegetables such as tomatoes, carrot, zucchini, celery, onion and garlic as well as delicious sweet potato, sometimes I will swap the sweet potato for butternut squash, as you really don’t notice the difference, it all depends on what I have available. Butternut squash will add more speed foods, so if you are trying to increase those on your plate, that would be the better option. 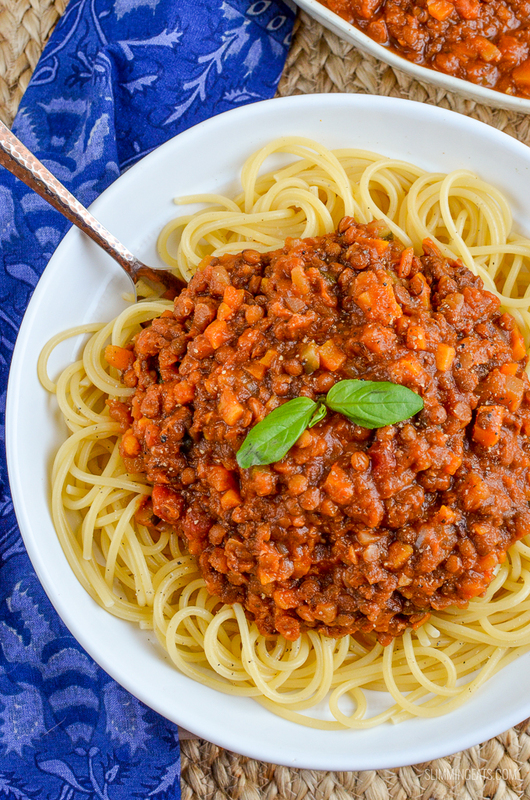 Even my kids love this Lentil Bolognese, so it’s a great dish for me to make for the whole family, if I want to get some healthy wholesome food into them. If there are leftovers, they often take it for lunch in their Thermos Food Flask, with some parmesan in a little tub for them to sprinkle on top just before they dig in. My kids are quite funny and quite often get fed up with the regular packed lunch sandwiches, so mixing things up for them and giving them this, is much more appealing to them. If you don’t have heating facilities at work, or are often out of the office and travelling around during the day, a food flask can be a great investment. 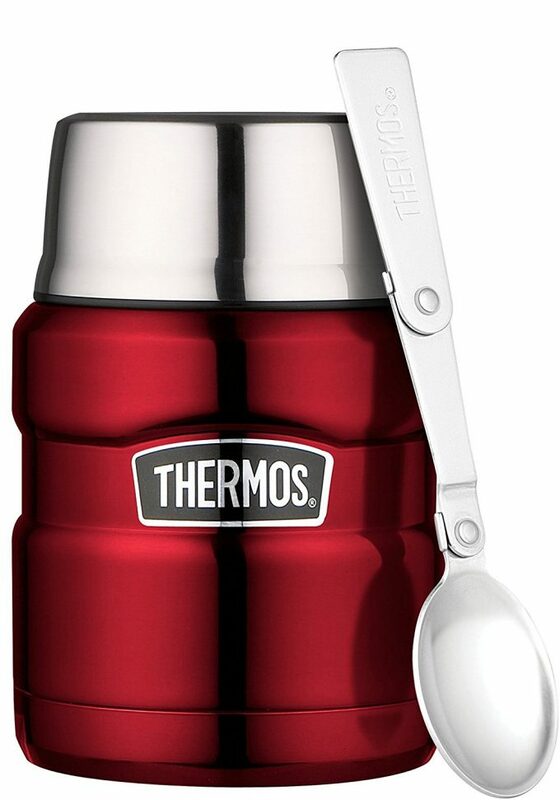 A Thermos Stainless Steel Food flask like this one below is a perfect option. 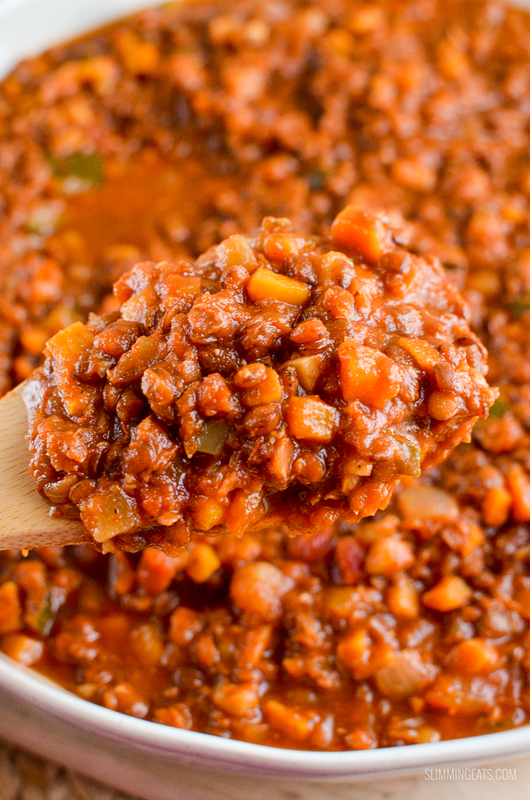 It will hold just under 500ml of food and keep it warm for up to 9 hours, which means it is perfect for soups, chilli’s, curry, and dishes like this lentil bolognese. Spray a large pot over a medium high heat with some Olive oil spray and add the onion and garlic and fry until softened. Add the carrot, courgette (zucchini) and sweet potato (or butternut squash) and fry for a further 5 mins. Add a little of the stock to prevent sticking if needed. Bring to a boil, reduce heat to low, cover and simmer for approx 1hr and 30 mins. Check it a couple of times through cooking time, just incase it looks like too much liquid has been absorbed ,as you may need to add a little more stock/water. Season with salt and black pepper and top with some chopped fresh Italian parsley and a little basil. Serve with pasta or another choice of sides. can I check tomato paste is tomato puree? Is 2 hours coking time on the stove the right time – thought the veg would disappear in that time? yes it is 2 hours cooking time, on a very low heat. The slow cooking improves the flavour, you could cook it for a shorter time if you prefer on a slightly higher heat. 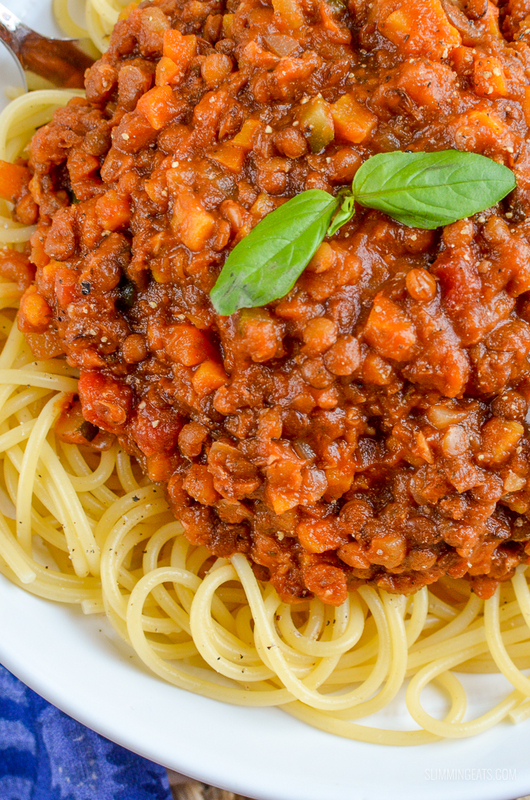 Could you use red lentils instead? This sounds amazing. Do you know the calories per portion please? This is one of my older recipes, where I haven’t got round to adding nutritional info etc yet, I will hopefully get it worked out soon. Can I check if the calorie count includes the pasta, or is this just for the sauce? Chunky lentils like brown or green are best, as they hold their shape. Can I do this in a slow cooker? If so, what time do you recommend?